DrupalSouth 2017: What happened at the Agency Leaders Dinner? 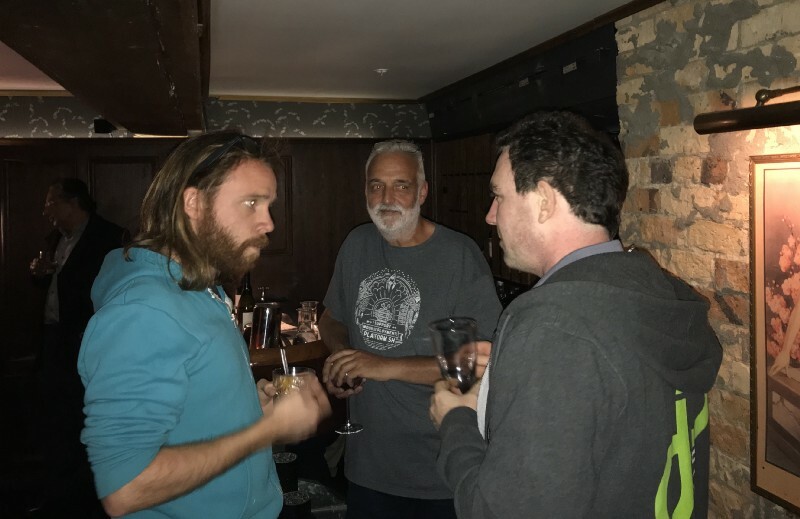 On November 15th, Chris Skene and I co-hosted the first agency leader’s dinner at Drupal South in Auckland. We brought together C-Level movers and doers from over thirteen different agencies and Drupal orgs. This event was meant to facilitate networking, agency growth topics, and ultimately peer-to-peer learnings. Here’s what the impact was on attendees and why you should care. The agency community is closer than ever before. In the Drupal ecosystem, these are becoming more common — like the CXO Dinner at DrupalCon Vienna and DrupalCon Baltimore. And there’s a really good reason for this convergence. What is happening in a highly competitive Drupal marketplace over the course of the last decade is starting to feel like saturation to many of these agency decision makers. Every agency is vying to stake out their space within the marketplace, one that doesn’t seem big enough for everyone. For many growth has been a challenge. Talent sourcing has been a challenge. And while Drupal agencies have done relatively well as a whole this past year there are growing red ocean sentiments that are changing the way decision makers see the landscape altogether. This is driving collaboration in Drupal at the business level. In short: it’s bringing agency peers together. Many DrupalSouth attendees had never done this before. One attendee after the event said that he saw other agency leaders as peers rather than competitors for the first time. That’s the culture and idealism being fostered via gatherings like the dinner in Auckland. One of engagement. This approach opens up, and to many for the first time, a mindset that allows meaningful knowledge sharing for mutual, symbiotic benefit. The reality is that for so many in the Drupal community, mentoring and growth facilitated by others is not just a happenstance but a natural, obvious path to growth; that’s for both professionally and the Drupal project as a whole. Growth looks different for those of us working at agencies in sales or marketing. And to make this growth more powerful and effective, the first step is to engage. By encouraging this coming together, we ultimately foster growth for ourselves and for the community. One topic was govCMS. The Drupal Services Panel that was initially announced on September 26th has had two more refreshes now. After the last refresh in October, there are now 22 approved suppliers, which could mean more openness when it comes to government contracting. Other updates like the Drupal 8 based platform being in progress, with focus on more leanness and less clutter are great signs of growth in these spaces. Another topic of conversation was around peak Drupal and what this topic means for Drupal 8. As Australia-based PreviousNext’s Managing Director Owen Lansbury said in his recent article: Drupal will gain traction in the larger Enterprise as the global digital agencies and system integrators adopt Drupal 8 as a direct alternative to proprietary CMS products. Consider going to events like these or encourage your fellow CXO’s to go. Connect with other agency peers to organize dinners, meetups, or roundtables. Review Drupal Business Survey 2017 results, and validate if you are seeing similar patterns at your agency along with drawing some meaningful conclusions. See Megan Sanicki’s analysis of the survey results. Keep an eye on initiatives like Drupal Global Business Alliance, and certainly join if you feel collaborating towards Drupal marketing initiatives is important (which we all know it is). Be ready for another Agency Leaders Dinner at DrupalSouth in 2018. @axelerant Director of Partnerships & Exec leader | @DrupalJaipur founding member | Business development, Account management & Customer success.